Band Aids and Tape – These two items are going to be needed, especially if you are coming off a long winter layoff, especially if you plan to play 27 or 36 holes in one day. Take the extra step and tape those fingers – a little extra cushion prior will go a long way. Camera – You want to document your memories, right? We didn’t say all your memories – you can pick and choose which ones you want to keep. Don’t find yourself hunting for a camera after you get here. When all else fails – you can always use your phone too. 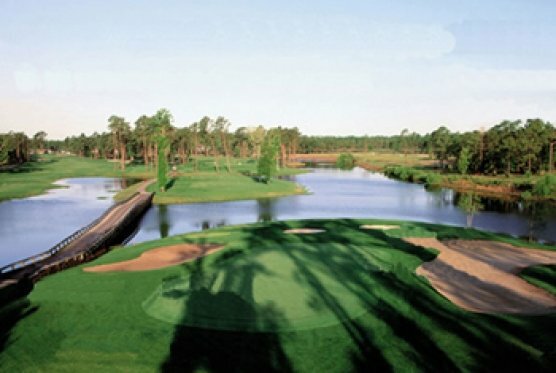 Cell Phone Group/Text – Before heading down or over to Myrtle Beach for your Myrtle Beach golf package, exchange phone numbers and put all your buddies into a group. This will save you time when you get here. This is particularly crucial if you’ve got members coming in from different places. Cards – Maybe an evening or two will be spent at your beach house relaxing and enjoying the waves after a long day on one of the Myrtle Beach golf courses. Sit back, relax and enjoy a few card games with your buddies – this can be a wonderful ending to a fun day. Golf Gloves and Shoes – Bring a few gloves – especially in warmer weather do you can have a back up. Same goes for your shoes – a back up pair is a great idea. However, if you find yourself in need of either, there are plenty of golf stores available to pick some up. Earplugs – One thing that makes Myrtle Beach golf packages more affordable is the ability to sleep more than one to a room. But, be prepared in case your roommate snores like a foghorn during the night. Antacid & Pain Relievers – Yes, you’ll have some great food during your Myrtle Beach golf package. You’ll also probably have some not so great. An antacid can be the difference between sleep and not. Pain Relievers are great after a long day on the links – you can also use the hot tub – if you have one. Rain Gear – Yes, the Grand Strand has some of the most amazing weather in the country, but even we get rain and no, we can’t really predict it. Sometimes, we even get a freak afternoon thunderstorm here at the beach. Whether rain is in the forecast or not, bring the rain gear. You’ll thank us for it later. Sunglasses and Sunscreen – The sun can be rough on your skin and your eyes. Be prepared for both.